Casper is back, now in slot machine form! The friendly ghost has brought his friends Stinkie, Fatso and Stretch with him for an unforgettable gaming experience. 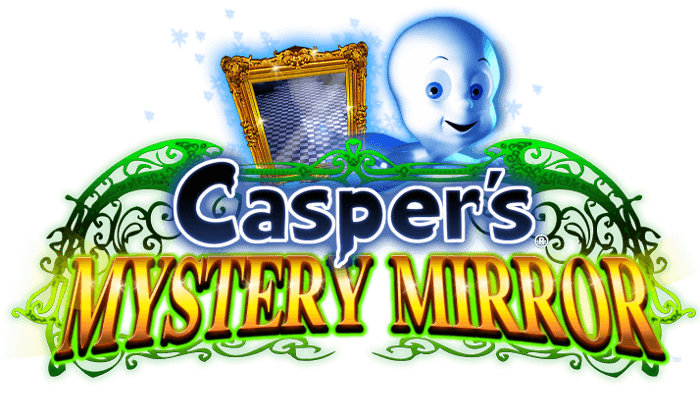 Casper is a new game from Blueprint Gaming. You might remember these newcomers from Sparta and Top Cat, both of which are big slot hits here at Pokies.com. Blueprint Gaming is clearly fond of old cartoons. Just like Top Cat, Casper is a slot machine based on an old cartoon character Casper the Friendly Ghost, who also appeared in his own feature film in mid-nineties. Casper the slot game has all the familiar characters from the Casper films, comics and cartoons. It’s a five reel and 40 payline slot game with a payout percentage of 94.95%. Overall Casper keeps things simple, the only big special feature it has is its free spins bonus game. If you manage to land 3 bonus symbols on reels 2, 3 and 4, you’ll get to experience Casper’s free spins bonus game. The free spins use different reels than the normal game. The special reels contain stacked Mystery Mirror symbols, which reveal the same symbol each time one lands on the reels. These special symbols don’t disappear between spins. This gives you a chance to win enormous wins as the same symbols are counted for many different paylines. After all the free spins finish, you are paid your winnings. If you sign in to Pokies.com using your computer, don’t be surprised if you can’t find Casper – it’s a mobile only game! Couple of the gaming companies we feature here at Pokies.com have really embraced mobile gambling. Blueprint Gaming is one of them and it has simply stopped producing games for desktop players. But no worries. Simply sign in using your iPad, iPhone, Android phone or tablet or any other HTML5-compatible device and you’ll find the game waiting for you in our mobile lobby. If you are new to Pokies.com, sign up now to receive $/€/£3 free. You can use this free money to give Casper a spin or two and get acquainted with the site. If you are already a member, sign in your mobile device to play Casper and to find out what new bonuses await you.